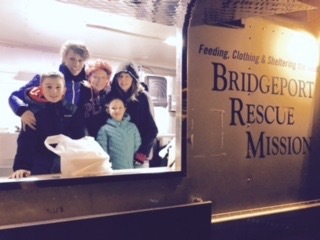 We need volunteers to serve dinner with the Bridgeport Rescue Mission's Mobile Soup kitchen at Roodner Court, Norwalk. Space is limited in the food truck, so a MAXIMUM OF 4 people can serve at a time. Children serving on the Mobile Kitchen should be 10 years of age and older, and must be accompanied by a parent or guardian. An reminder will be sent as your serving date gets closer.